El año pasado ya comenté por e-mail este interesantísimo proyecto. 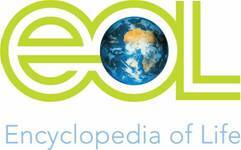 The EOL dynamically synthesizes biodiversity knowledge about all known species, including their taxonomy, geographic distribution, collections, genetics, evolutionary history, morphology, behavior, ecological relationships, and importance for human well being, and distribute this information through the Internet. It serves as a primary resource for a wide audience that includes scientists, natural resource managers, conservationists, teachers, and students around the world. We believe that the EOL's encompassing scope and innovation will have a major global impact in facilitating biodiversity research, conservation, and education.